On this day we went as far south as possible in our country, with the purpose to photograph this so unique and special moment. 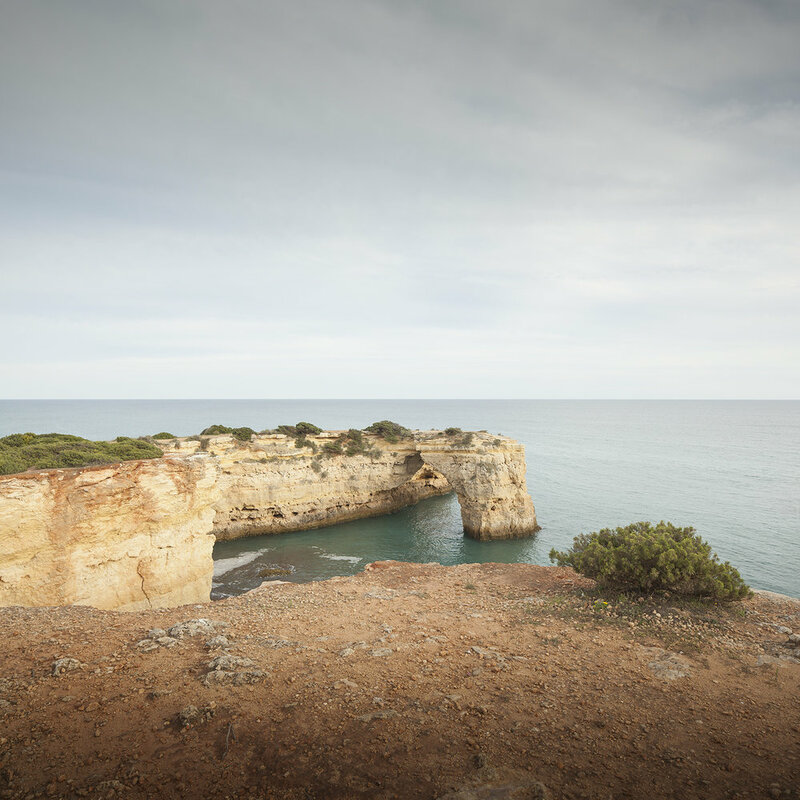 We all know Algarve for the summer holidays, for the beaches, for the good weather... but there is an immense landscape that remains to be explored and that goes far beyond the beach. And Justin, who crossed an ocean for this moment, didn't miss this beautiful side of our south. This was the place he chose to celebrate love, with an incredible view, the scent of the sea in the air and clinging to the skin, giving salt to the eyes with so many tears of emotion to the mixture. We headed south to surprise Jessica. We came back richer, with an incredible story to tell and knowing a voice that, today, still plays around here whenever the work asks us for dedication and inspiration. 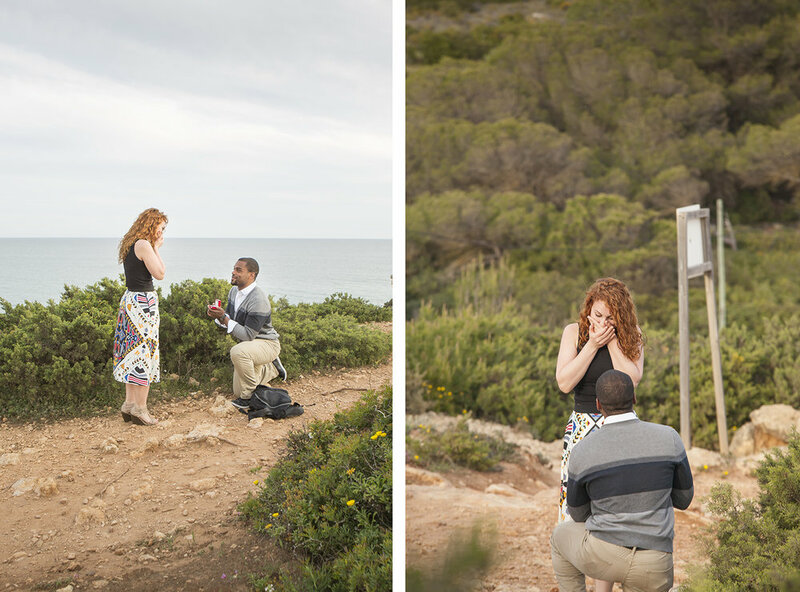 A few months from an even more special day, just across the ocean, we remember today this wedding proposal and a yes expressed in gestures and tears.